Planning the bash of the year isn’t easy, especially when it’s the LAST bash of the year. You have so many other great parties to live up to! 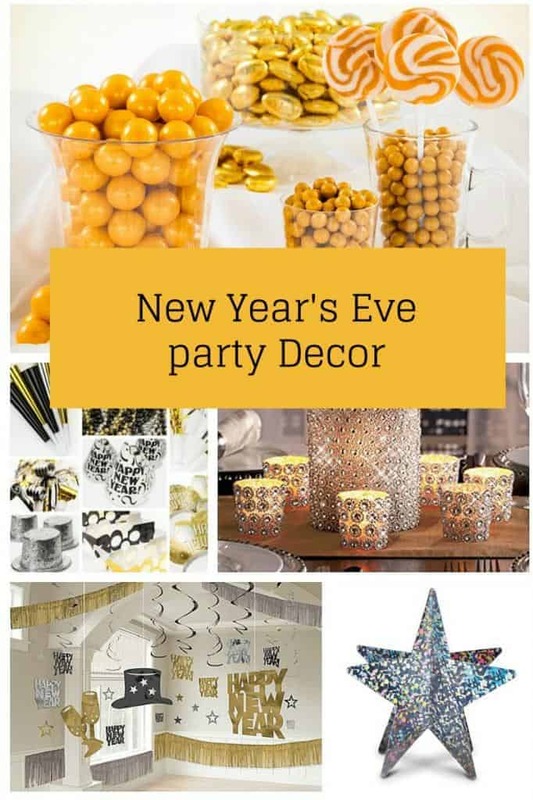 You’ll need some really outstanding New Year’s Eve party decor to totally WOW your guests. Last week, we shared some ideas on how to find budget-friendly New Year’s Eve Decorations. This week, I’m mixing things up a bit with other ideas, including a few that may step outside the confines of what I’d call budget-friendly. My advice: choose something awesome as your splurge item, then go low-budget on the rest. Yes, I know, a gold candy buffet doesn’t exactly scream healthy eating, but it is absolutely beautiful, don’t you think? A few sweet treats on the dessert table are a must at a party anyway. Besides, half your guests are resolving to eat better in the new year, so let them go out with one last bang. If gold isn’t your thing, you can switch out the colors with pretty much any other color of your choosing. I’m not usually a fan of the beaded gold look, but I make an exception for New Year’s Eve party decor. I mean, you kind of have to have sparkle on that night, don’t you? If you are a fan of the look, this set of 7 elegant candles will last long after the ball drops, making them the perfect splurge. 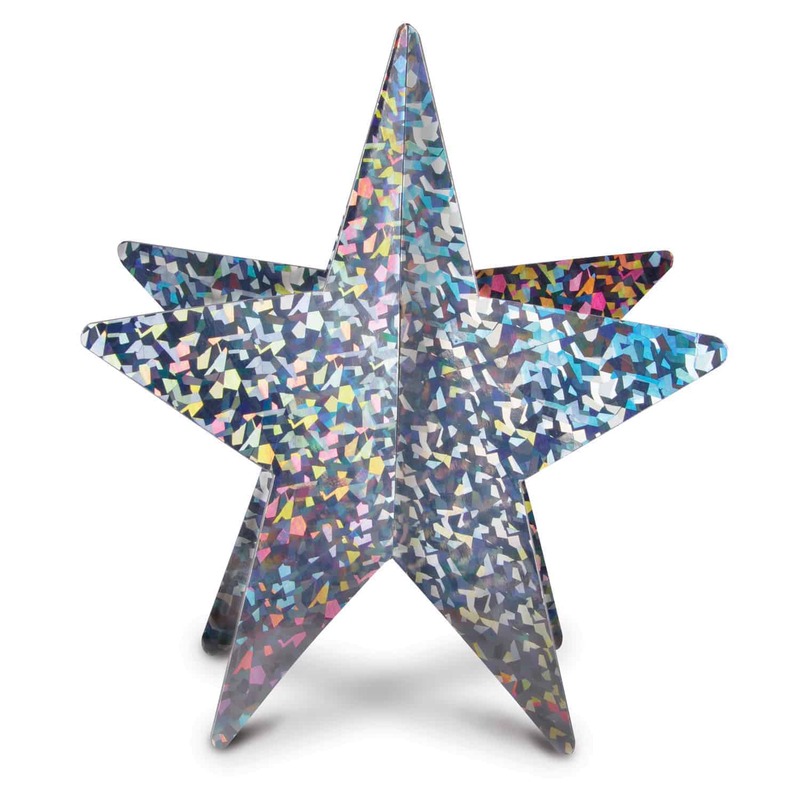 I’m more of a silver person myself, so I love this Silver 3D Prismatic star. Hang it from the ceiling and watch it catch the light! Way classier than a disco ball. When the party’s over, it makes a fun decoration for your in the kids’ playroom! If you’re planning a MASSIVE blowout bash, the New Year’s Eve party kit is the way to go. It comes with everything you need for a whopping 100 guests, including decorations, hats and other goodies! The great thing about this kit, it’s perfect for both kids and adults. So if you’re having a combination party, you’ll be covered on both fronts. Don’t really need all those supplies, but still want an all-in-one New Year’s Eve Decor kit? This giant decorating kit may be the way to go, then. It comes with 9 foot x 4.5 inch Garlands (2), 9 foot x 12 inch Garlands (2), 5 inch Double Spiral Swirls (4), 5 inch Single Spiral Swirls (4), 3-13 inch Cutouts (16) and 50 feet of Nylon String. I used to love piecing together decorations bit by bit, but now that I never seen to have spare time left over, I’m a huge fan of those big box sets. If you want my opinion, those are the way to go. Add in one nice little extra and call it a day. New Year’s Eve party decor shouldn’t be stressful. Just have a good time and make one last great 2014 memory! 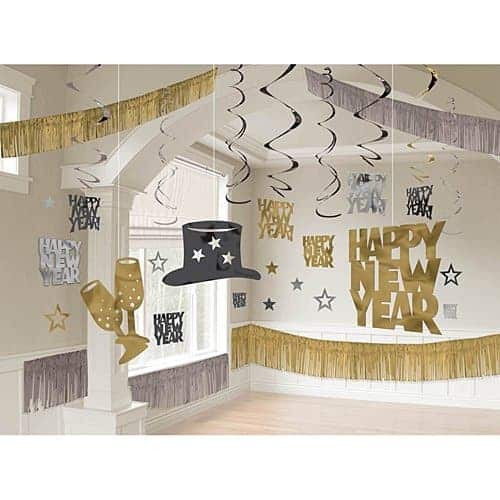 What are your favorite ideas for New Year’s Eve party decor? These ideas look fun. I look forward to trying them next year. Thanks for sharing. I definitely agree with sparkly gold for a New Year’s Eve party mainly because I feel it’s so representative of a new beginning. You have definitely come up with some great party-worthy recommendations! Sparkly things are great for new year’s eve! I may just have to throw a party! Love the gold and silver combo, what pretty choices. Puts you in the mood with excitement for the new year! Great decor ideas — metallics are perfect for any New Year’s Eve party! Oh that’s fun! 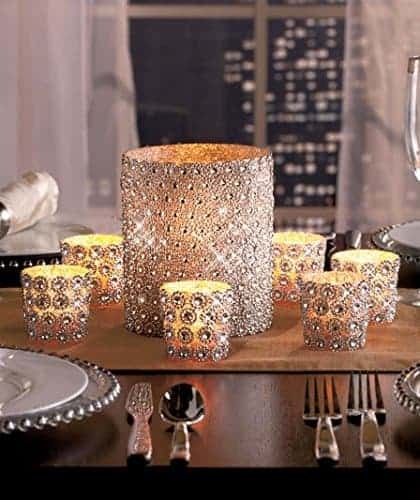 I love the way those candles sparkle and shine. Very elegant! This is such a great idea! I love the gold and the silver! This would be great to ring in the new year! THe party kit for 100 is such fun! I would really like those colors too. How fun! I am loving all that glitz and glam! I didn’t know they even sold party kits! This is so cool! I love the candle holders! These are great decor ideas! Wow, I love the gold colors. I’d love going to a New Years party with decorations like those. These are all great ideas. I love all the sparkle! Oh I just love all that bling bling in the decor! What great ideas for a New Years Party! Bling is best on New Year’s, I think. Everything is beautiful. I am not usually a fan of the gold beaded and sparkle look either but this one is really pretty. It caught my eye immediately. These are wonderful ideas! They’re all so sparkly and gorgeous! These are all great spreads. They so much more fancy than anything I’ve ever done. I love it! These are great ideas. I LOVE the buffet. Candy! Yay! Love the ideas. Most of my family will be comatose by midnight, although one of them might try staying up. I just found out we will be kid free on NYE, so our big plans are going to bed early LOL.